How does the Foliggo anti-burglary window film work? A pane with the SFX 8 anti-burglary film, with a thickness of 260 microns, SFX 10 film, with a thickness of 300 microns, or SFX 12 film, with a thickness of 360 microns, is a very hard to force barrier. Getting inside, even with the use of a hammer or axe, is made significantly harder, and the pieces of broken glass with the cut film that fall inside can quickly start off the alarm in the room. Anti-burglary films are installed in banks, shops, bureaus, offices, warehouses, and of course in houses, that is everywhere, where the protection of property is needed or where there is a high risk of a break-in. After the installation of anti-burglary films, most insurance companies give discounts on the break-in insurance premium. 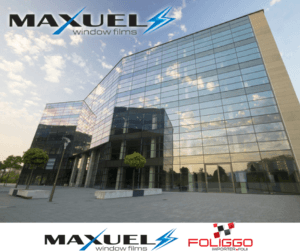 Which window film should I choose? Don’t get blinded by the sunlight!